Bélapátfalva is a town in Heves county, in Hungary, located north of the city of Eger. The town is located inside the Eger river valley at an altitude of 311 meters above sea level. Facing the town is the Bél-kő mountain which rises 811 meters and is one of the highest peaks of the Bükk mountains. 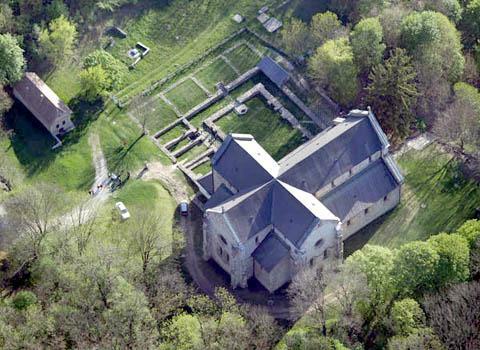 The town is the site of the best-preserved Romanesque church building in Hungary, formerly part of a Cistercian abbey. 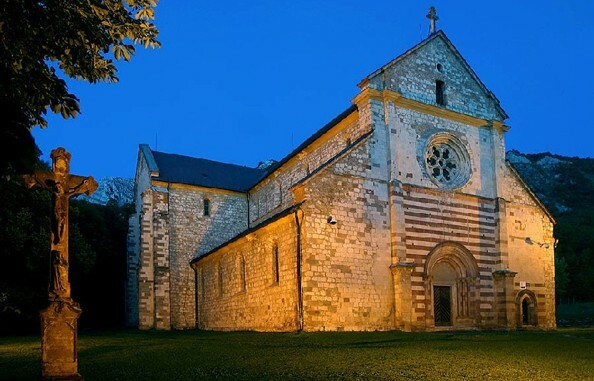 The church was built after 1232 and later modified in Gothic style. The façade is notable for its Romanesque portal and the interplay between grey and reddish stone rows. The abbey to the South of the church was destroyed in the 16th century, and only its ruins remain. The modern equipment Baroque, because theMedieval equipment was destroyed . The temple is connected to the south -storey convent , which is now only slightly visible fölfalazott foundation walls . The oblong cloister . The west wall of the south transept is the elfalazott niche directory where you removed the old shelf-space . 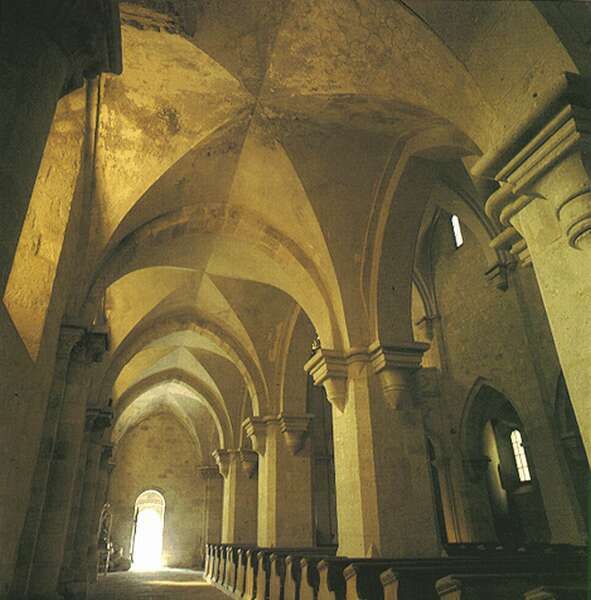 It was the vestry room beside the chapter room , next to the reception hall , around the corner was a large monastic type of room in which to find the source . As water in the yard was built by well-house channel. The south wing was between heating and kitchen to the dining room ( refectory ) . South- east of the church , old forester house exhibition presents the history of the monastery and the finest products once worked in a stoneware factory. Monuments and historic monument of the church internationally recognized . Patron saint of the Nagyboldogazzsonyt considered .